I have talked at great length about the marketing of juice lines, specifically the labels using different approaches to appeal to the consumers. However, I have not seen anything go to quite this length. 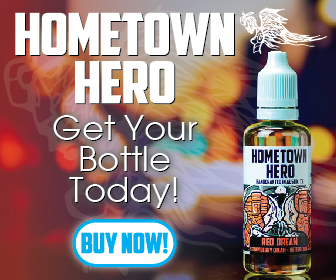 Flashbang Vape is a unique company that makes donations to the veterans, military men and women, and their families with every bottle purchased. They drive this point home in including a refillable M84 replica bottle, complete with pull pin. I’ll get into that in just a second, but here is what the website lists as the flavor profile on Operation Apple Drop. Marketing: This came to me as an empty 40ml M-84 replica pump bottle with a 120ml refillable bottle. Let me break this down a little bit because it’s quite a bit to take in…. Flavor: I wasn’t totally sure what to expect when I started vaping this. Is it a candy apple? A rich fruity apple? It’s a green apple with a very tart nature, but it quickly gives way to the oatmeal flavor that coasts down during the exhale. The apple is very intense from the beginning, possibly too much for some when they first try this flavor. But that flavor coasts downhill the entire way, especially to be met with what almost seems like a baked oatmeal. This keeps a very similar profile between both a tank and a RDA, but if the apple is too intense on a RDA, try it in a tank. That apple smooths out very well to a creamy flavor on both the inhale and the exhale. 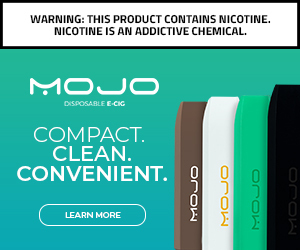 Cloud Production: I get a 70VG/30PG type consistency with this juice. Works very well with both a tank and RDA. The clouds are surprisingly large, and the production is super smooth no matter what device you use. I don’t get the inclination of any artificial sweetener, so I don’t get any intense coil and cotton gunking. All in all, I feel that this is a super tight package with a really good purpose behind it. This is definitely worth checking out.